Dry skin moisturizers deliver super hydration and instantly reflect an illusion of a more youthful look. 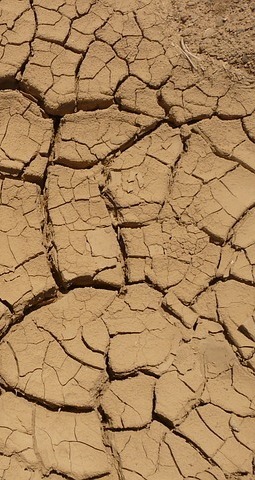 A dry type condition is a common problem that may excel as we get older due to age–related natural changes in life. A decrease in sebum production will cause an imbalance and create possible problems. Our oil-producing glands act normally to lubricate, protect, and seal in water to prevent dryness. They become less active as we age and it becomes more difficult to retain the needed moisture. Due to this loss its protective function is weakened, natural balance is upset, and it makes skin cells more vulnerable to external attacks. Your best defense as we age is restoring and maintaining normal moisture activity to keep skin properly balanced. A topical moisturizer is probably one of the most important complexion-boost treatments we can do to prevent and control dryness and keep that incredible soft feel and healthy look. Moisturizers increase the moisture levels, help restore past damage, mask imperfections, and keep skin in a hydrated and healthy state. Water is the secret ingredient that helps keep our epidermis healthy. It gives skin it’s dewy, fresh, supple, and all around healthy glow. Moisturizers have the ability to attract moisture from the air and hold it on the surface of the skin to create a barrier against the elements. This moisture content plumps the skin by refreshing the cells. Locking in hydration and keeping the area supple and moist will also help slow the aging signs of lines and wrinkles. Moisturizing formulas can also help provide relief from the tightness, itching and chapping associated with dryness problems. Everyone should have a good quality moisturizer in their daily regimen. It is an essential product to provide a boost to your complexion’ overall health and revitalization. It also provides a great base for makeup application. Facial moisturizers also come in tinted varieties that help to cover up minor imperfections. The composition of moisturizers can be made up from many different mixture combinations and countless varieties for the face and the entire body. Very light formulated products are quickly absorbed and do not leave a greasy feeling. Creams have less water and more oil content in the formulas and are designed to be more efficient for aging, mature types or acute dryness. A lighter face moisturizer formula makes an ideal “day time” product choice. They are usually light enough to wear under makeup and most lotions now offer added sun protection (sunscreen). Most moisturizers today contain an SPF in them to protect your skin from the sun’s harmful rays. A heavier oil-based moisturizer product may be better suited for someone requiring intense hydration. This type may be useful for your “nite time” beauty regimen to help provide a nourishing treatment for extremely dry or distressed skin. They are usually a rich, cream type comprised of more potent ingredients to help heal and regenerate. They generally are an ideal choice for drier types, have a longer lasting power than water-based products and are more effective at preventing water evaporation. Oil-free moisturizers are recommended for people who have oily type skin to help prevent clogged pores. When choosing a moisturizer, look for ingredients that contain emollient, occlusive, and humectant properties. Humectants – Water binding agents such as urea, hyaluronic acid, propylene glycol, glycerin, amino acids, and lipids are substances that attract and have the ability to absorb water from the air and help hold the moisture in the skin. Occlusives- Waterproof ingredients that sit on the surface to help prevent water loss such as petrolatum (Vaseline), lanolin, mineral oil or silicones. Emollients – Lubricating ingredients such as squalene, shea butter, and cocoa butter that give you that soft, silky smooth feeling. They are easy to spread and absorb. Oil based Oil-in-water emulsions tend to be rich and creamy, have a heavier consistency and leave a slight residue on the skin and have more staying power than water based products. They are designed and recommended for extreme dryness and mature types. They offer an extra level of hydration and protection on the surface and are more effective at holding in moisture. Water based These gentle moisturizers are primarily water. The texture is light, non greasy, and absorbs easy without leaving much of a residue behind. They tend not to stay on long so re-application is needed often. Be aware of products that contain toxic chemicals that penetrate and break down the moisture barrier and possibly remove essential moisture and cause health problems. Harsh chemicals such as parabens, sulfates, and propylene glycols used especially in moisturizers should be avoided. Parabens are substances that are widely used as preservatives and can be absorbed through the skin. Many types and names are used such as methylparaben, butylparaben and propylparaben. Perfumes, dyes and alcohols that may be added to body or face moisturizers should be avoided. Products that contain fragrance can irritate sensitive types, trigger allergies, respiratory, and other health problems. Learn to familiarize yourself with the ingredients listed in products. The best time to apply dry skin moisturizers is immediately after your bath or shower while your skin is slightly damp to help seal in water and offer the fullest benefit.